There are some rumors that Nokia might reveal the Ultra-budget Nokia 2 with Snapdragon 210/212 processor this year. 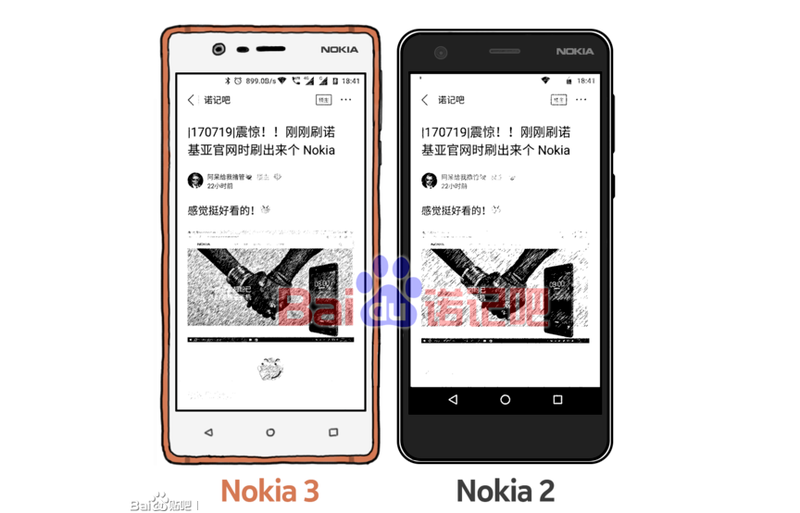 We haven't seen any possible renders or live images of the Nokia 2, but that's going to change today, thanks to an alleged leak from baidu. As you can see in the below and above Sketch (Sort of), Despite of being an Ultra-budget device, the Nokia 2 will be having a front facing camera with Speaker grill and Nokia branding, just like the Nokia 3. One thing that is worth noticing is that the Nokia 2 will be having on-screen navigation keys instead of touch capacitive buttons, which can be found in previous Nokia Smartphones including the Nokia 3, Nokia 5, and Nokia 6. The Nokia 2 might come with the same rear design like the Nokia 3, but with low-end specs. That said, Nokia is expected to reveal the Nokia 2 later this year. 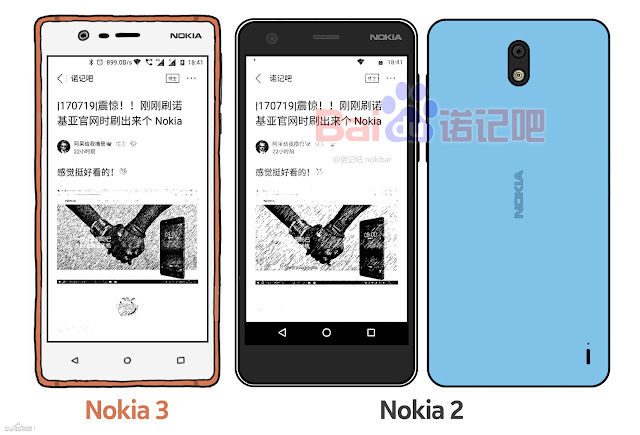 Thanks to baidu forum, the below image shows the rear design of the upcoming Nokia 2. 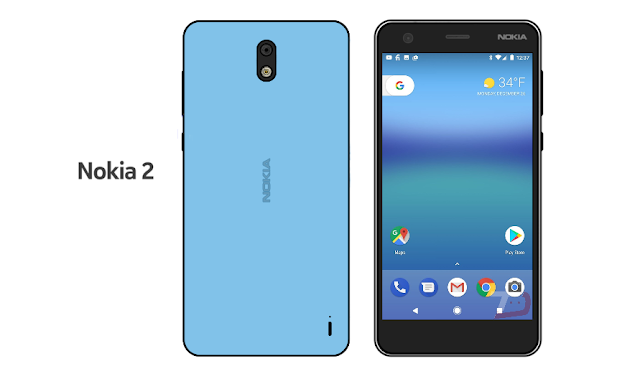 As you can see, the design looks almost identical to the Nokia 3.